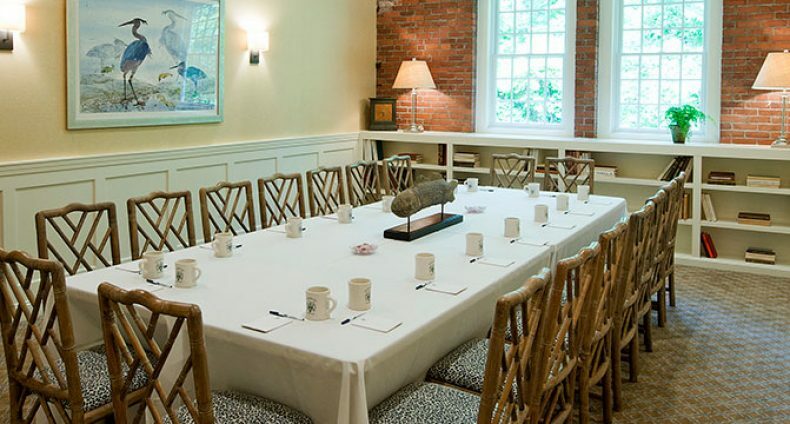 Whether you’re planning a business meeting or executive retreat… a wedding… an anniversary party or special family occasion… or holiday party in Kennebunkport, Maine, you want an event venue that ensures your time together will be memorable and meaningful. Whether you’re celebrating or strategizing, Cape Arundel Inn & Resort is the ideal Maine venue for your social or corporate event. Kennebunkport’s Cape Arundel Inn & Resort has the picture-perfect backdrop for your wedding day. The sparkling Atlantic can be your “something blue” when you exchange “I dos” on our lush lawn by the water. Here on this dreamy point of land with 180-degree ocean views, the promises you make will be etched in your memories forever. Focus. It can be difficult to find in our frenetic lives. Our multifaceted resort is close to everything that makes Kennebunkport alluring, yet tucked away, so you can concentrate on collaborating. Whatever brings you together, our venue offers flexible settings and customized on-site catering to meet your needs.